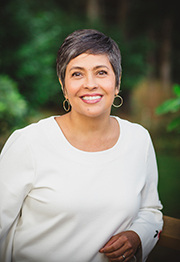 Originally recruited to real estate because of her character and compassion, Lainie Magsarili is an advocate who specializes in multi-generational housing, downsizing, and first time homebuyers. Lainie often hears from clients, "I've learned more in 15 minutes with you than in an entire year with my last agent.” Her knowledge, integrity, and patience makes her an excellent fit for anyone seeking an agent to completely change their home buying experience. Lainie is a long time resident of Tualatin. She is also a wife, mother of three children (two adults and one late teen), previous homeschool mom, and proud owner of an Instant Pot which helps her feed her multigenerational household.